Security systems become crucial in medical facilities. Being able to protect the most vulnerable people is important to all medical facilities such as hospitals and other health care practices. In fact, hospitals and medical centers face a number of factors that can hinder the security and safety of everyone including patients, doctors, and visitors. Therefore, health care facilities need to plan and prepare for a wide array of emergency situations including bomb threats, active shooters, hostage situations, infectious disease epidemics, and inclement weather or natural disasters. Recently, the U.S. Department of Health and Human Services released a handy guide that helps healthcare facilities prepare for any active shooter incident that may occur. 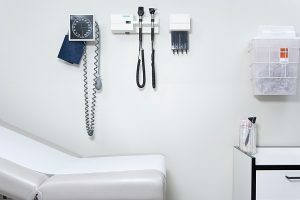 In fact, the guide explains that having emergency notification systems in place as well as lockdown measures is a critical component of a well-executed healthcare security plan. In addition, the guide goes on to emphasize the importance of developing an emergency notification that is capable of alerting everyone across various facilities of a possible threat. As a result, investing in proper security procedures can really do wonders when ti comes to the safety of hospitals and other medical facilities. Ideally, there should be clear communication when it comes to proper security measures in healthcare facilities. In fact, without clear and detailed processes and systems in place, chaos is extremely likely to ensue during any sort of disaster or attack. As a result, investing in comprehensive security systems is something that all medical centers, especially hospitals need to consider in order to protect all the employees, patients, and doctors alike. In the end, it really comes down to having excellent security measures in place to protect patients, doctors, and visitors within medical facilities and hospitals. In fact, having proper security procedures that are clear and detailed is the only way to ensure that the medical facility is safe and secure. This entry was posted on Friday, July 7th, 2017 at 2:06 pm. Both comments and pings are currently closed.